One of the boys having fun! Jacknella has advised and supported the set up of this charity. Whilst as a trustee Lynn takes no payment for this advice, she continues to support and encourage which has enabled the founder Jane Davidson to realise her vision and have the confidence to develop Homes of Promise knowing she has professional back up. 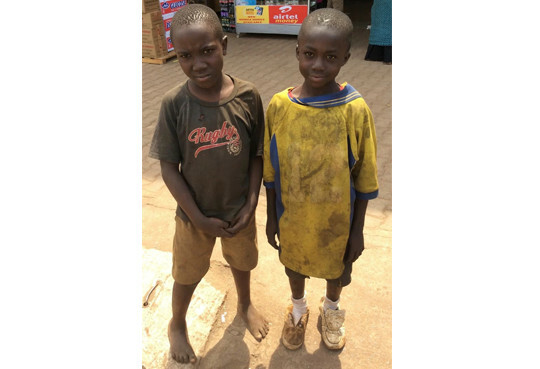 Jacknella have worked with Homes of Promise to create an effective means to serve the street children of Kampala, particularly boys taking a holistic approach to nutrition, clothing, education and health needs, initially this was a street feeding programme, but as the charity has evolved they’ve set up a George’s Place, a transitional home for boys, Jacknella have played a key advisory role in this. 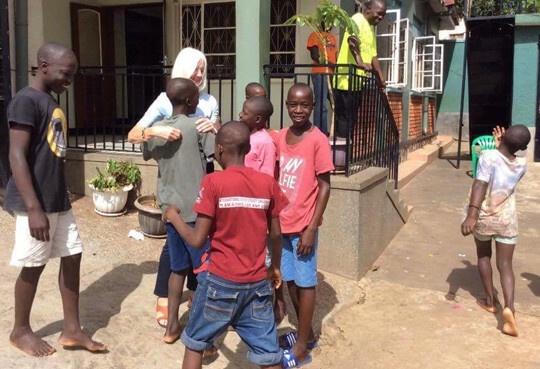 Homes of Promise now has NGO status in Uganda and George’s Place looks after 18 boys, working closely with local agencies and governmental bodies. 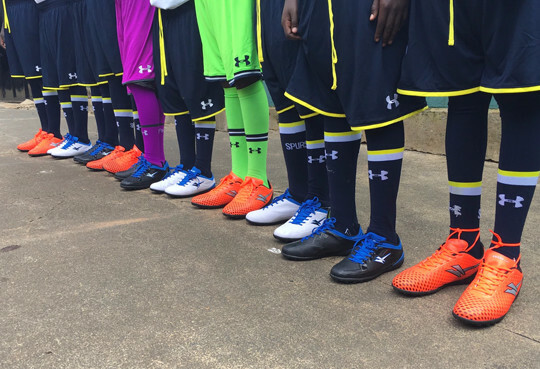 Jacknella have also secured several corporate gifts including Tottenham Hotspurs football kits and football boots from Jacobson Group which the boys have greatly appreciated. We continue to advise on grant and trust applications to help Homes of Promise to grow. 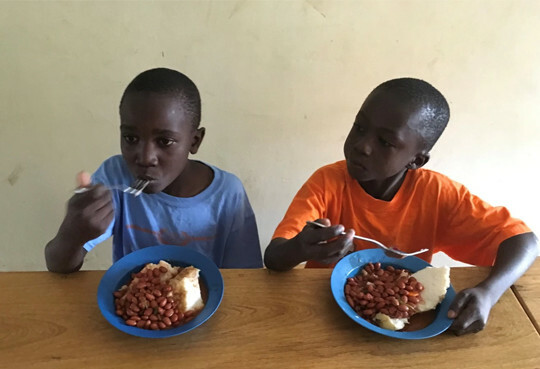 Homes of Promise is a charity set up in 2015 primarily to serve the street children of Kampala, initially providing regular meals for approximately 70-100 street children, mainly boys. 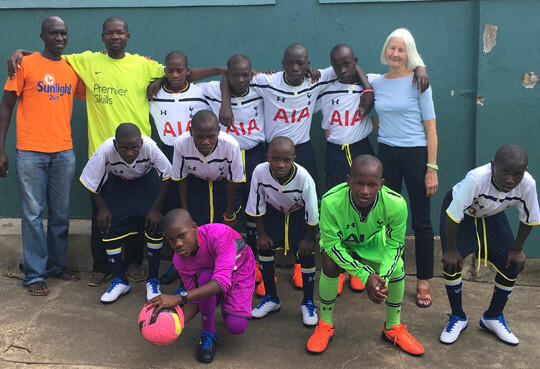 Homes of Promise now runs a transitional home for boys called ‘George’s Place’ where they receive education, healthcare and care through individual holistic wellbeing. 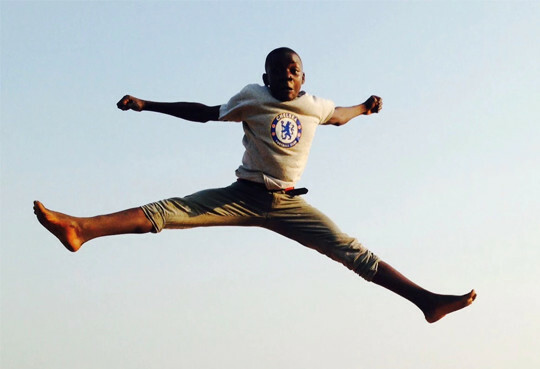 Homes of Promise endeavours to rebuild relationships with the children’s families where possible and appropriate. Individual homes are also considered for grants along with specific healthcare programmes. Lynn van Keulen is one of the founding trustees. It can be tempting to invest solely in cracking the major donors ‘nuts’ and ignore the mid level, but it’s not called a fat middle for nothing!